Offering you a complete choice of products which include compressed custom springs, stainless steel compression springs, open coil compression spring, industrial coil springs, barrel springs and medium compression springs. Our enterprise is involved in manufacturing and supplying a wide range of Compressed Custom Springs. These are manufactured from good quality steel that mark our range highly reliable and durable. We offer a wide range of compression springs, which are utilized in various industrial applications. Finish: Zinc, Nickel, Silver, Gold, Copper, Colored etc. Material: Steel, Stainless Steel, Carbon Steel etc. Packaging Details: Depends on order qualtity. 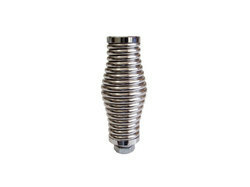 We are engaged in manufacturing and supplying a wide range of Stainless Steel Compression Springs. We provide customers with compression springs in different size and dimensions. High-grade stainless steel is procured from trusted vendors for manufacturing these springs. These are built to offer resistance to forces of twist or rotation. Understanding the needs of the patrons, we are engaged in manufacturing and supplying Open Coil Compression Spring. 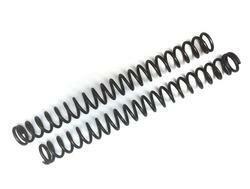 These springs have common configuration and are used in engineering, tools, automotive and aerospace applications. 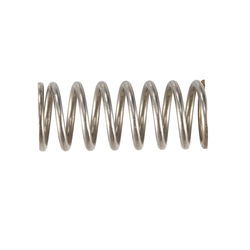 These springs are available in a variety of different shapes and styles and limitless sizes. We feel proud to offer clients a range of Industrial Coil Springs, which are utilized in various industrial applications. These coil springs are made using optimum quality mild steel and stainless steels, which ensure their durability and efficiency. 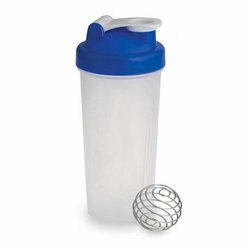 These can be provided to our clients in custom sizes and specifications to fulfill their varied requirements. We are one of the distinguished companies, involved in offering a range of Barrel Springs. There are other forms of Barrel Springs too, including conical, barrel and hourglass. We provide customers with compression springs in different size and dimensions. 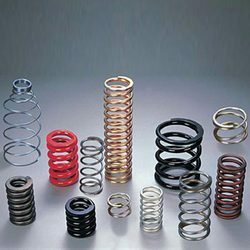 Compression of these springs design includes straight, tapered and conical or barreled springs. We are engaged manufacturing & supplying a wide range of high quality Medium Compression Springs. They are made in state-of-the-art facilities under the strict supervision of our expert engineers. 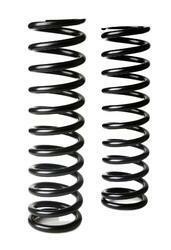 The best part of these springs is definitely its trouble free performance and excellent elastic property. Working from many years in this domain, we introduce ourselves as the leading names engaged in offering of Shaker Spring. 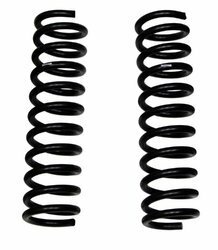 Designed from best quality materials, these springs are checked on the basis of different parameters like tensile strength and durability. Our provided springs are used to bear high compression in machines installed in various industries such as automobile, engineering and construction. Our company follows various quality standards, therefore, shocker springs are easy to avail from us in best market price.